God of War II is a hack and slash action-adventure video game developed by Santa Monica Studio and published by Sony Computer Entertainment (SCE). 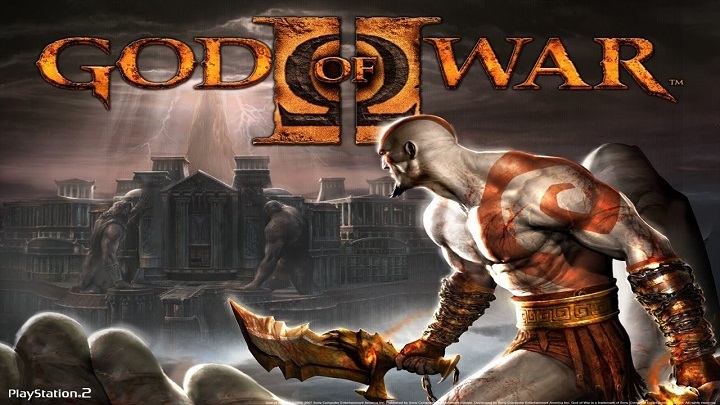 First released for the PlayStation 2 console on March 13, 2007, it is the second installment in the God of War series, the sixth chronologically, and the sequel to 2005's God of War. The game is loosely based on Greek mythology and set in ancient Greece, with vengeance as its central motif. The player character is protagonist Kratos, the new God of War who killed the former, Ares. Kratos is betrayed by Zeus, the King of the Olympian Gods, who strips him of his godhood and kills him. Slowly dragged to the Underworld, he is saved by the Titan Gaia, who instructs him to find the Sisters of Fate, as they can allow him to travel back in time, avert his betrayal, and take revenge on Zeus. The gameplay is very similar to the previous installment, and focuses on combo-based combat, achieved through the player's main weapon—Athena's Blades—and secondary weapons acquired throughout the game. It features quick time events that require the player to complete various game controller actions in a timed sequence to defeat stronger enemies and bosses. The player can use up to four magical attacks and a power-enhancing ability as alternative combat options. The game also features puzzles and platforming elements. In addition to its vastly similar gameplay, God of War II features improved puzzles and four times as many bosses as the original.